If you observe keenly, most problems related to plumbing occur near fixtures like toilets, sinks, and tubs. However, there are times when the pipes themselves are the root cause of the problem. Pipes can be volatile as they can make loud noises, leak, freeze or sweat. There are different types of leaks related to plumbing. While others may flood your home, others may not have as damaging results as the former. Stopping or fixing a leak is largely dependent on the type of leak that you have. For instance, if the leaks are caused by a loose joint, the solution is to tighten the joint. If the leak is caused by a pipe, it’s easier to remove the leaking section and have it replaced with a new one. 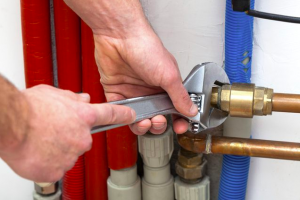 If you are experiencing any issues with flanges and leaking pipe, it’s time you get in touch with Austin Plumbing Online and get a quick fix for your leaking pipes. Austin Plumbing can provide you with an effective and quick repair and maintenance systems. This is because they understand that for you to be at peace in your home or business to not have to shut down for a couple of days, it’s advisable to get a pipe repair once you’ve identified the cause of your leak. Just like system failures, leaks can also occur at the same time with no warning of some sort. As such, ensure you have a regular checkup done just to be sure you are on the safe side.